Earlier: Red Sox edge Jrs. .... Naylor, Orimoloye go deep to beat Cubs .... Win over Brewers, loss to Blue Jays .... Soroka, Naylor pace win. - The juniors loaded the bases with nobody out in the top of the first on two hit batters and a walk. Josh Naylor (Mississauga, Ont.) then drove in a run on a groundout to first and Demi Orimoloye (Orleans, Ont.) reached on a throwing error that brought in another run. Tristan Pompey (Milton, Ont.) then drove in a run from third when he grounded out to second giving the juniors a quick 3-0 lead. - Isaac Deveaux (Montréal, Que.) ripped a single to right to leadoff the third and moved to third when Miles Gordon (Oakville, Ont.) followed with a single to left. Royce Ando (Mississauga, Ont.) then grounded into what should have been a double play ball, but was safe at first on a poor throw, while Deveaux crossed home plate. After a Naylor single to right, Orimoloye came through with a single to left that scored Ando with the second run of the inning. - The Rays used a leadoff triple and an RBI groundout to score their first run of the game in the fourth only to see the juniors respond with four runs in the top of the fifth. Deveaux led off with a walk and moved to third on two wild pitches before Gordon drove him in on a sharp single to centre. Gordon later stole second and scored when Ando reached on an error. After JD Williams (Brampton, Ont.) reached on an error, Naylor single to load the bases with nobody out. Orimoloye then hit into a double play that brought in one run before Williams scampered home on a wild pitch with the fourth run of the inning. - In the sixth, the Rays used a one out double and single to score their second run of the game off JNT starter Brady Moxham (Oakville, Man.). - Darren Shred (Brampton, Ont.) drilled a double to right-centre to open the seventh and scored easily when Isaac Deveaux followed with a triple to the exact same spot in the ballpark. With Deveaux on third Gordon lifted a fly ball to left that was deep enough for him to tag and score on the play giving the juniors their 11th run of the game. - In the eighth, the juniors added a pair of run with Pompey and JF Garon (Terrebonne, Que.) both scoring from third base on wild pitches. Pompey had led off with a single to centre, while Garon was one of three batters that walked in the inning. - The Rays didn’t go down quietly and in the eighth, down by 11 runs, scored four on a walk and six hits including a three-run homer to left. - The game was called with nobody out and runners on first and second for the JNT as heavy rain started to fall. - Starter Brady Moxham gave the juniors six solid innings of work on the mound. He allowed runs in the fourth and sixth, but was able to keep their hitters off balance for the most part pitching to contact getting mostly ground balls and some nice defence including a diving grab by shortstop Royce Ando in the third. He scattered six hits and had one strikeout. - Offensively the juniors scored 13 runs on only nine hits and were the beneficiaries of seven walks and five wild pitches by the Rays’ pitching staff. - The only two extra base hits of the game for the juniors both came in the same inning as Shred doubled to the wall in right-centre and scored when Deveaux legged out a triple. - Reliever Sam Turcotte (Toronto, Ont.) took over for Moxham in the seventh and had a quick inning getting a groundout, strikeout and fly-out. - Gordon continued his strong week at the plate as he went 2-for-2, scored two runs and drove in two runs. - With reliever Vincent Beauregard (Laval, Que.) on the mound, a leadoff triple in the bottom of the fourth came around to score on an RBI groundout giving the Yankees a 1-0 lead. - The juniors evened the score in the fifth when Andrew Yerzy (Toronto, Ont.) crossed home plate on a sac-fly from Luke Van Rycheghem (Kent Bridge, Ont.). Yerzy had led off with a single to right, moved to second when Tristan Pompey reached on error and advanced to third when the pitcher’s throw on a pick off attempt rolled into centerfield. - Following three straight one-out walks in the eighth, Gordon grounded out to second base allowing Deveaux to score that gave the juniors a one run lead. - After Williams walked to leadoff the top of the ninth, Naylor took a 2-0 fastball over the wall in right field for a two-run homer. - After throwing five perfect innings against the DSL Twins last Thursday, JNT starter Mike Soroka (Calgary, Alta.) turned in another stellar performance on the mound tossing three scoreless innings with strikeouts on 36 pitches. He walked one, coming with two out in the first and allowed a leadoff single in the third. - Reliever Vincent Beauregard allowed a run in the fourth and then settled in very nicely for the remainder of his three-inning outing as he stranded a double in the fifth and sat the Yankees down in order. He matched Soroka with three strikeouts. - After the juniors took the lead in the top of the eighth, Josh Burgmann (Nanaimo, BC) allowed a two-out triple but came back with a big strikeout to leave the runner stranded. Prior to that he gave up a lead off single only to pick off the runner at first for the first out of the inning. Burgmann shut the door on the Yankees in the ninth to earn the win and ended his three-inning outing with six strikeouts. 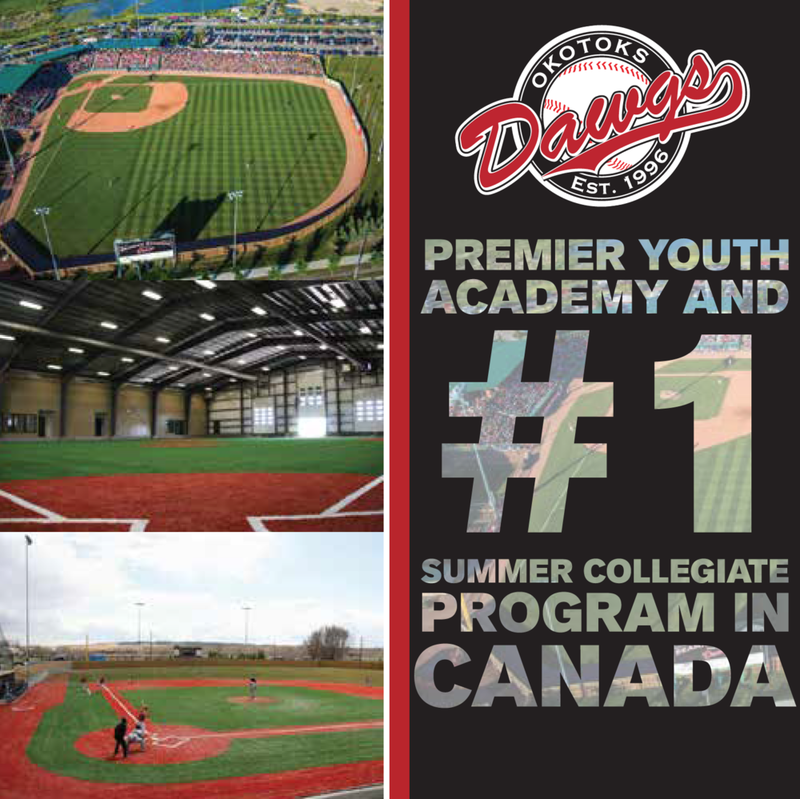 If 18 innings today wasn’t enough, the juniors will play yet another doubleheader tomorrow with the DSL Mets (10:30am ET) and the DSL Dodgers (2:30pm ET) … LHP Isaac Anesty (Guelph) is scheduled to start game one, while LHP Kyle Ross (Maple Ridge, BC) is slated for Game 2 …You can get live updates by following @Team_C_Updates on Twitter.